(1) Urban Accents WAKE UP Your Tastebuds Urban Brunch Collection. Brunch is one of my favorite meals on a relaxing weekend. 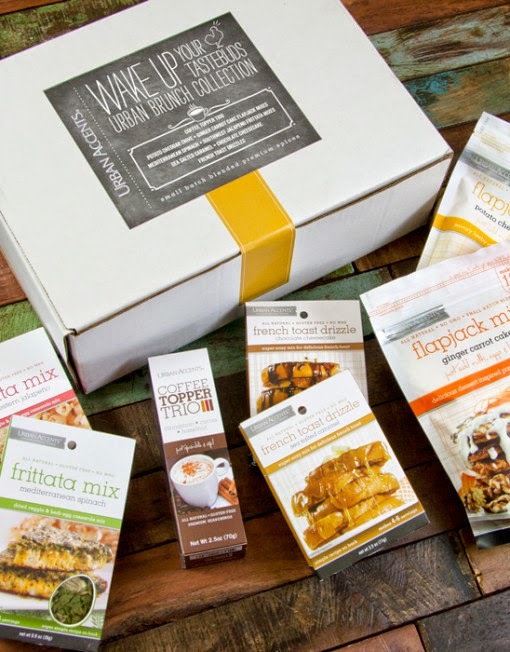 Urban Accent's WAKE UP Your Tastebuds Urban Brunch set is a collection of their creative culinary blends that helps you whip up a fabulous brunch in a snap! The kit contains their Potato Cheddar Chive and Ginger Carrot Cake Flapjack Mixes; Mediterranean Spinach and Southwest Jalapeno Frittata Mixes; Sea Salted Caramel and Chocolate Cheesecake French Toast Drizzles, and a fun Coffee Topper Trio. No matter what taste profile you're in the mood for, this fun collection has you prepared! With Mother's Day coming next weekend, it's the perfect time to order one of these fabulous brunch kits, whip up a batch of mimosas, and treat Mom to a fabulous meal! Urban Accents products are also available at select retail locations. nationwide. I love these products and will be sharing a recipe feature and giveaway for one of these amazing brunch collections later this month!! (2) McDonald's New Artisan Grilled Chicken. Last month, McDonald's unveiled a new marinated grilled chicken recipe. Their new formulation is made from 100% chicken breast, and it contains no artificial flavors or colors -- and no preservatives. It's simply seasoned and seared onsite at each location. I recently visited my neighborhood McDonald's to give this new chicken a try. I sampled the new chicken on a Premium Bacon Ranch Salad. It was golden brown on the outside, and tender and juicy on the inside. The warm chicken on the chilled salad was a nice contrast. I really enjoyed the chicken's simple seasonings, because they really let the flavor of the chicken breast shine through. 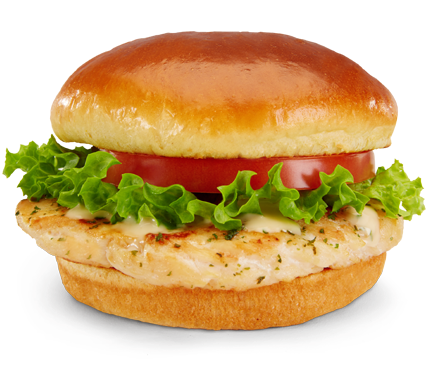 This yummy grilled chicken can now be found in McDonald's grilled chicken salads, sandwiches, and wraps nationwide. (3) Luvo Healthy Frozen Meals. Frozen meals are certainly convenient...but most don't measure up when it comes to taste or healthy ingredients. Enter Luvo! Their line of great tasting healthy frozen meals are fabulous. Their product line features entrees, breakfasts, flatbreads, and burritos in a variety of unique and tasty flavors. Luvo meals contain no artificial colors, flavors, or preservatives -- and no hydrogenated fat or high-fructose corn syrup either. Even the packaging is made from recycled paper and printed with waterless soy-based ink. These products taste great too! My favorites are the Steel-Cut Oatmeal with Quinoa and Mixed Fruits...and the Red Wine Braised Beef with Polenta. It's served with roasted Brussels sprouts, butternut squash, and cranberries. Definitely NOT a typical frozen meal. I found both of these meals filling and very flavorful. 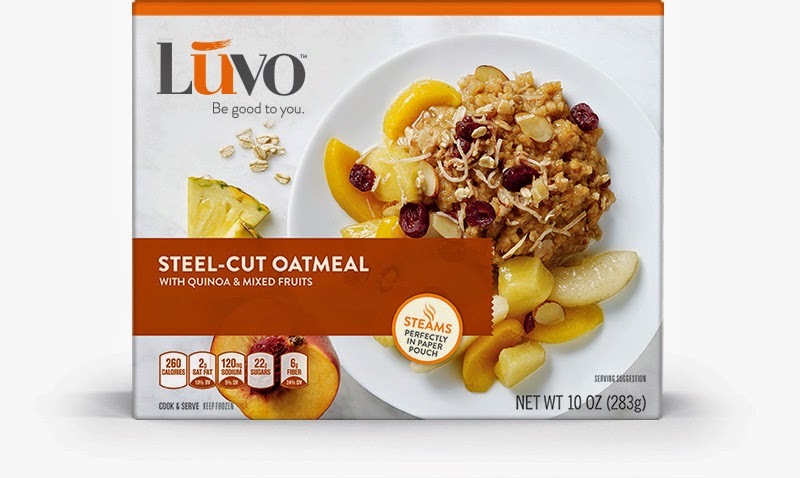 To find Luvo meals near you, check out their online Store Locator. (4) Red's Burrito Bowls. Red's have been my favorite frozen burritos for the past year or so. They're made with 100% all-natural non-GMO ingredients and meat raised without antibiotics -- and they taste great! I was excited to find out this Spring that they were introducing a line of Burrito Bowls that feature my favorite burrito flavors in a non-tortilla bowl form! 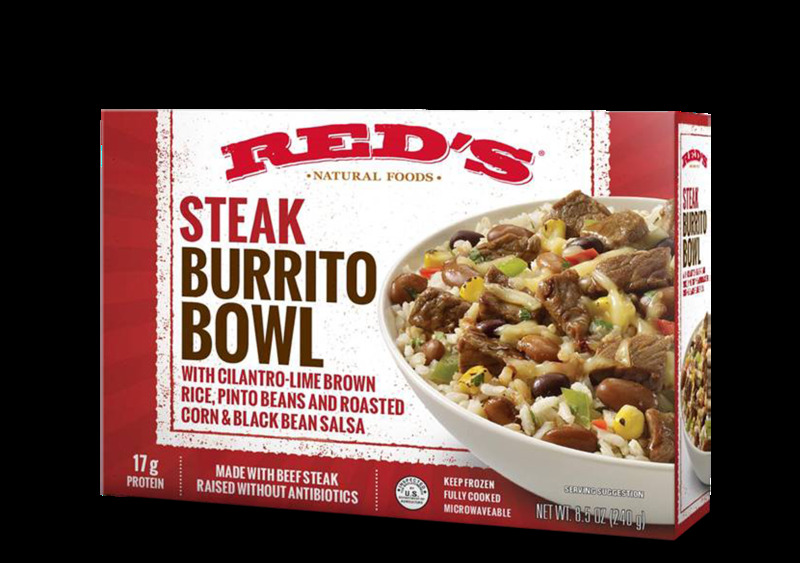 I recently tried the steak burrito bowl, and I really enjoyed it. It features a base of cilantro-lime brown rice, tender steak strips, pinto beans, and a tasty roasted corn and black bean salsa. It was filling, with a nice level of spice. I serve my bowl topped with a bit of light sour cream, a sprinkle of lowfat cheddar blend...and a few crispy tortilla chips. These burrito bowls make a nice work lunch or quick weeknight dinner. Red's Burrito Bowls also come in Chicken, Carnitas (pork), and Veggie flavors. To find Red's Burrito Bowls near you, check out their Store Locator. 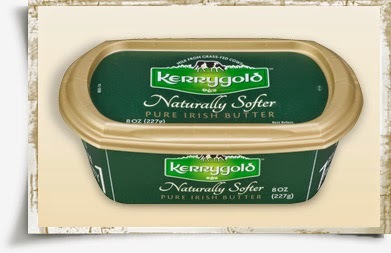 (5) Kerrygold Naturally Softer Pure Irish Butter. I'm a huge fan of Kerrygold's golden Irish butter, which comes from grass-fed cows. It's rich and creamy, making it a perfect addition to sauces -- or spread on hot, crusty bread. Kerrygold now offers a softer, spreadable butter in a tub form. It spreads vert easily -- even straight from the fridge. This saves me time when I get the sudden urge for a grilled cheese or want to make a quick compound butter. Kerrygold spreadable butter has the same rich Kerrygold flavor that I love in its stick butter. To make softer butter, Kerrygold uses Summer milk, which is highest in naturally softer milkfat. The milk is then churned using a proprietary method that increases the softer milkfat, resulting in a more spreadable butter. Unlike most spreadable butter products, this butter relies on natural processes -- rather than the use of less expensive vegetable oil or other additives -- to make this Kerrygold butter more spreadable. 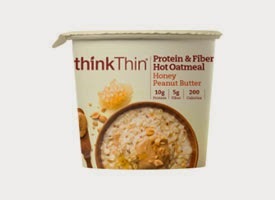 (6) thinkThin Protein & Fiber Hot Oatmeal Cups. I'm always on the lookout for healthy options for portable weekday breakfasts I can enjoy at my desk. My latest find is thinkThin's line of flavorful oatmeal cups! They come in fun flavors like Farmer's Market Berry Crumble, Madagascar Vanilla with Almonds & Pecans, and Honey Peanut Butter. All three flavors are great, but I'm especially partial to the Honey Peanut Butter -- I like to add sliced banana and a drizzle of honey on top for a filling and healthy breakfast! These oatmeal cups contain a blend of rolled oats, steel cut oats, and red quinoa -- and they're non-GMO! Each individual oatmeal cup contains 10 grams of protein, 5 grams of fiber, and 200 calories or less. I love that these hot oatmeal cups fill me up and give me energy all morning long. To find these portable oatmeal cups near you, check out their online Store Locator. (7) California Wine Club. If you're a wine lover who enjoys drinking wine from smaller artisan wineries...the California Wine Club is perfect for you. The company was founded in 1990 and features small artisan and family-owned wineries from several California regions. I especially love how flexible their membership options are! Can't decide between red or white? Select a plan that lets you receive one bottle of each for your shipments. You can purchase a 1-month, every-other-month, or quarterly membership...and they also offer five different wine Series in a variety of price levels. Memberships start at $39.95 per shipment and top out at $219. For my shipment, I received a shipment from their entry-level Premier Series to try. I received a bottle of Pinot Grigio and Lodi Old Vine Zinfandel Campus Oaks wines from Gneko Family Winery in Collegeville, California. The Pino Grigio was light and refreshing, pairing nicely with simply seared fish and veggies. The Zinfandel was dark and lush...perfect with a cheese and fruit platter. To sign up for a membership or purchase one as a gift, simply visit California Wine Club's online store. 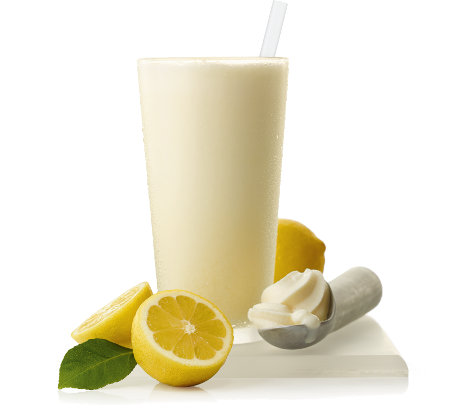 (8) Chick-fil-A Frosted Lemonade. One of my new favorite Springtime treats is the recently introduced frosted lemonade at Chik-fil-a. It's like a vanilla milkshake and old-fashioned lemonade got married and had a baby. It's similar to a creamsicle -- but more tart. This fun beverage gets its creamy vanilla flavor from their soft serve Icedream...and its tangy-sweet flavor from their fresh-squeezed lemonade. If you're like me and prefer their sugar-free lemonade? They can make the Frosted Lemonade with it too! Made with their regular lemonade, the drink is 330 calories...made with the sugar-free lemonade, it's just 240 calories. That makes this Frosted Lemonade a fun indulgence that I don't have to feel too guilty about enjoying. One sip and you'll know that Spring is here! Disclosure: The products featured on Wendy's Favorite Things provided me with samples to facilitate inclusion. I never recommend a product that I have not personally tried and enjoyed. All opinions expressed are solely my own.